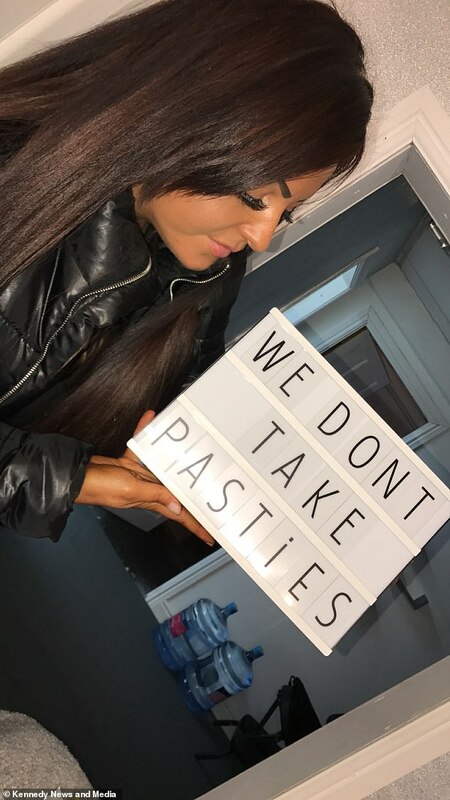 A woman tried to bribe a beautician with her child’s shoes, fake money and even a pasty – then branded her ‘disgusting’ when she declined to do her lashes. 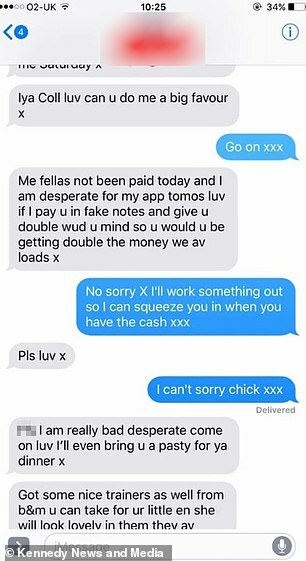 Coll Livia, who co-owns Bombshell Studio in Wigan, Greater Manchester, was subjected to a bizarre 10-message exchange in which a customer begged for a £35 Russian lash treatment despite not having the funds. 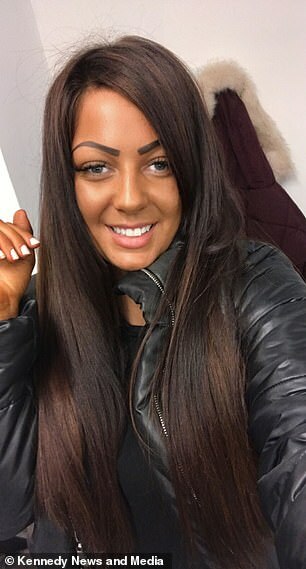 Mother-of-one Coll, 28, politely declined the offer and proposed an alternative slot for her to have the treatment after her partner had been paid. 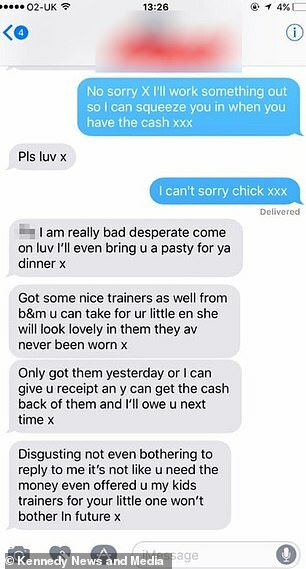 Enraged by her not being open to the offer the woman furiously messaged Coll branding her ‘disgusting’ and sniping ‘it’s not like you need the money’. Coll, from St Helens, Merseyside, said: ‘I was shocked when I saw the messages. She’s being serious, it’s 100 per cent brazen. I would obviously never take fake money, I want paying in real money. ‘We had someone in a few weeks back who “forgot” their money and the boyfriend offered to give us his Rolex watch. Coll didn’t reply to the last message and has since blocked the number. The customer didn’t arrive for her pre-booked appointment on Friday morning. Coll said: ‘Thank god she didn’t turn up at 9.30am as planned, we would have had to turn her away. ‘She’s been here three or four times before but she won’t be coming back. The business owner quipped that if the woman had suggested a different snack she may have been tempted by the offer. 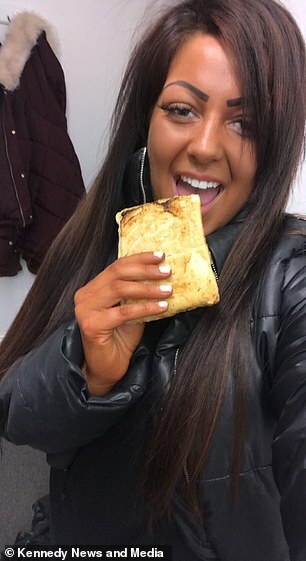 Coll and 34-year-old co-owner Sarah Sheridan are now planning to tweak their festive ‘prosecco and mince pie’ event to a ‘prosecco and pasty’ celebration to commemorate the bizarre proposal. Coll said: ‘We have plenty of paying customers so definitely don’t need her custom. ‘Since I posted about what happened I’ve received multiple offers from people offering to buy me a pasty. The pasty and prosecco events will start on December 18 and run through to December 23.